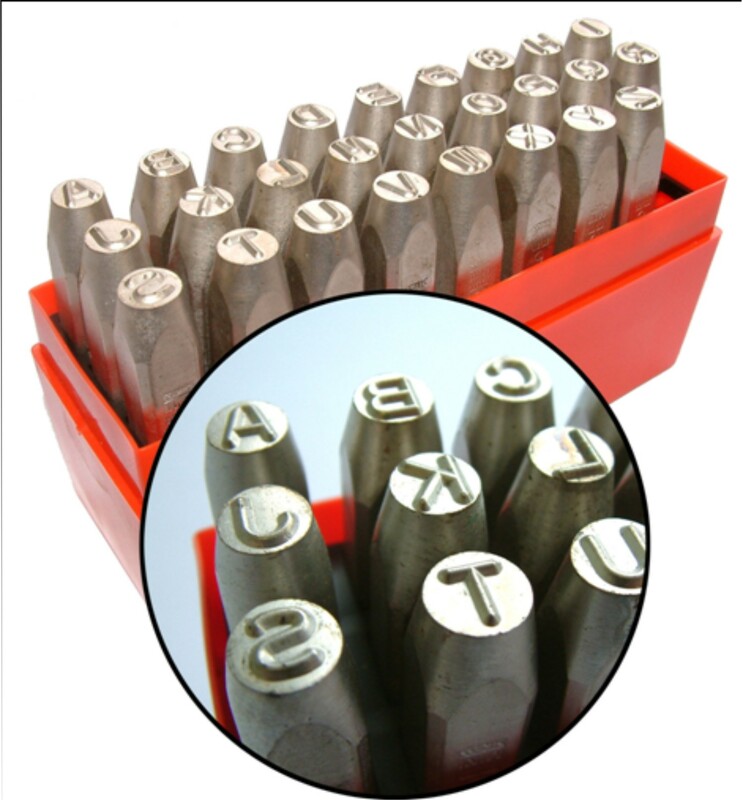 Standard hand stamps or punches are the cheapest way to marking letter, figures, signs and symbols manually on plastic, metal, leather and other materials. At its simplest, the mark can be applied to the component by striking the punch by hammer. 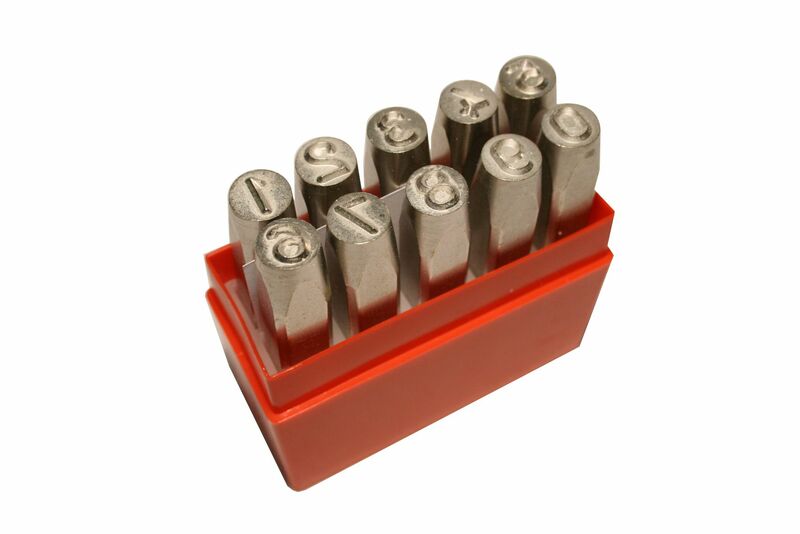 Our steel stamps are made of high quality chrome steel and are hardened under exact conditions. In contrast to other punches no poor quality steel is used for these products. This leads to a long durability, a maximum in working security and an unbeatable cost/performance ratio. Hand stamps are available either in sets of A-Z or 0-9. Single stamps are also available in various sizes. Our punches are available in different qualities. Beside the standard series “premium“ we offer steel stamps also in revers, heavy duty “Goliath”, with radius engraving “Low stress” and in dot/radius engraving “Dot stress”. 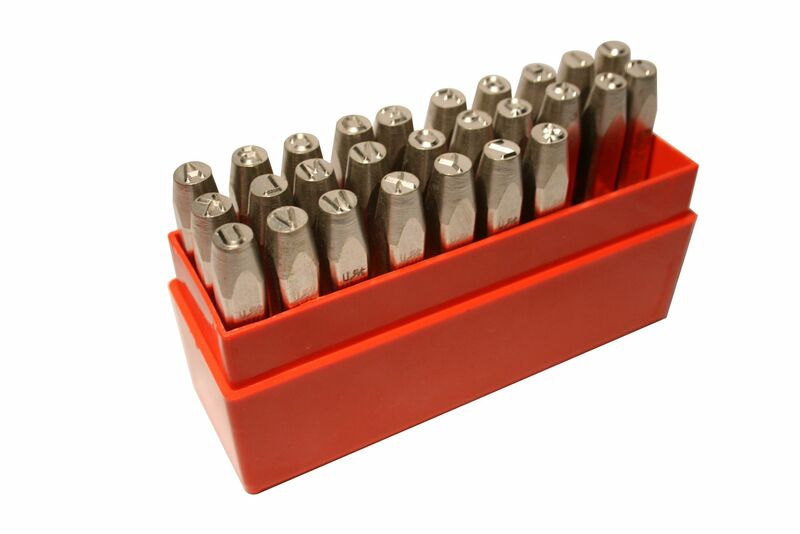 Our punches are available in many standard sizes from 1.0 to 12.5 mm. Additional we manufacture hand stamps in various sizes up to 50 mm size on demand. 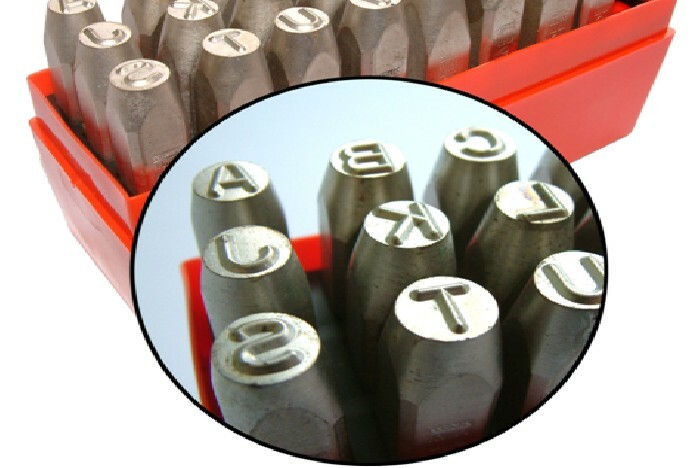 Beside the standard sets A-Z and 0-9 we offer a wide range of custom made engraved dies and stamps including an artwork and design service for die inscriptions. The assortment includes also symbol stamps (CE-sign, …. ), welder’s inspection stamps, flymarks, logotype dies, graduation dies, cigarette printing die, round die, embossing die, coining die, roller die and coding dies. 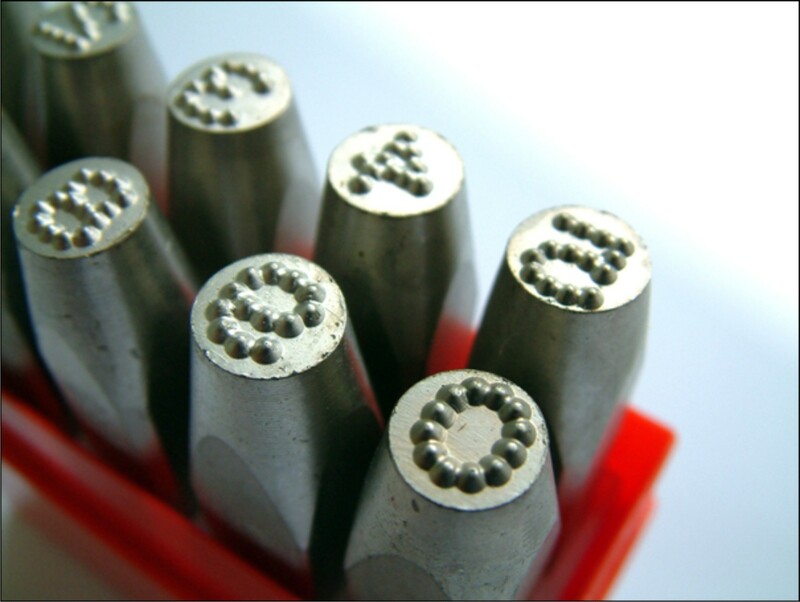 Marking with a steel stamp or punch is the most simple method of marking components. With a hand stamp, you can mark one single number or letter, with a custom made precision steel die, the marking possibilities are manifold. Providing the product manufacturer with a marketing tool for keeping their trade name or logo in front of their customer. Precise heat treatment (58 – 62 R.C.) at the character and 32-40 R.C. at the striking end.